I am always fascinated by people lives in various countries around the world. 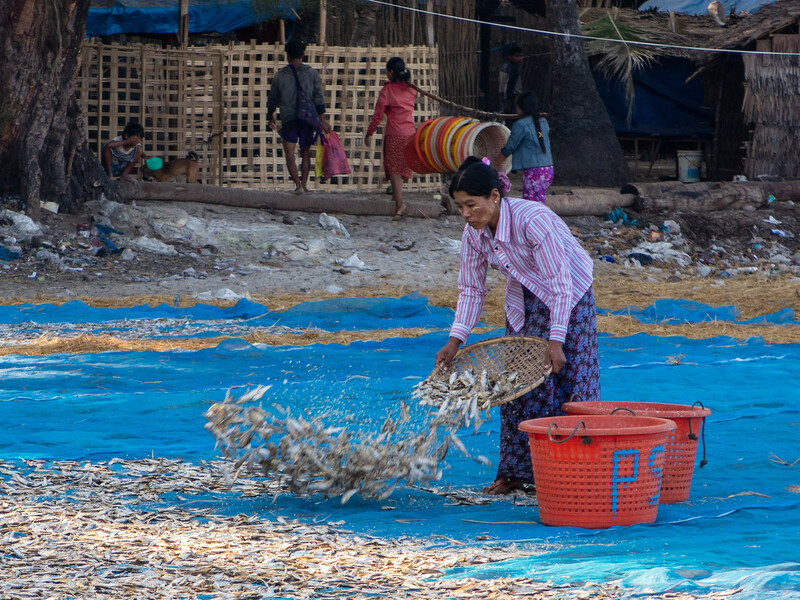 Before I made the photo essay of the seaweed farmers of Lembongan Island, Indonesia I had an opportunity travel to the small Myanmar fishing village of Jate Taw on the Bay of Bengal near the southern end of Ngapali Beach, Myanmar. I love visiting these places because not only does it make great imagery it a reminder of how different the world is, but how alike we as people often are. 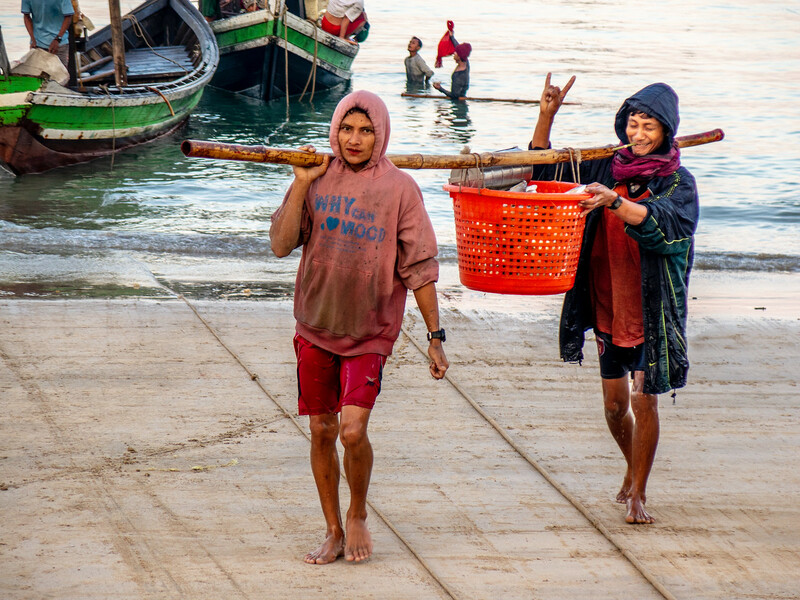 Being able to spend the morning with these Myanmar fishermen, watch as they bring in their catch and, although worn out from being up all night, how well they seem to treat each other. 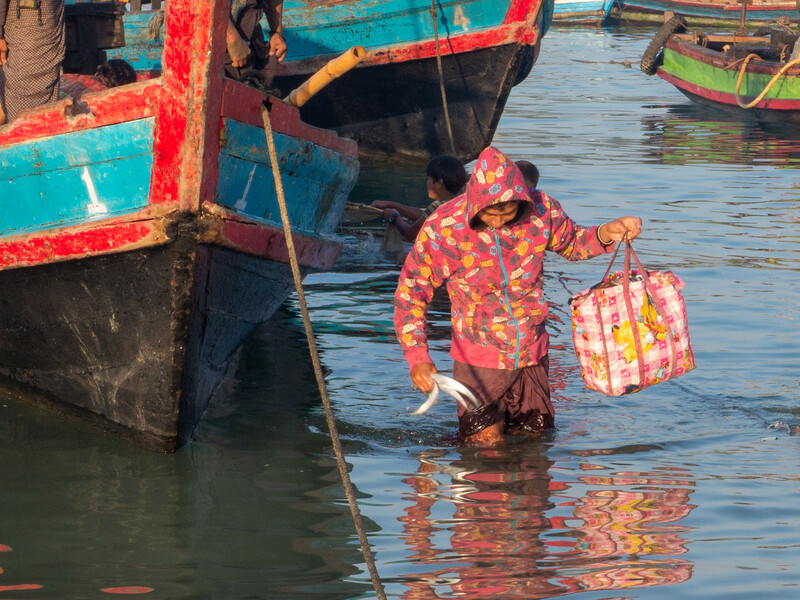 Life here on the edge of the ocean, and on the edge of poverty is quite challenging. 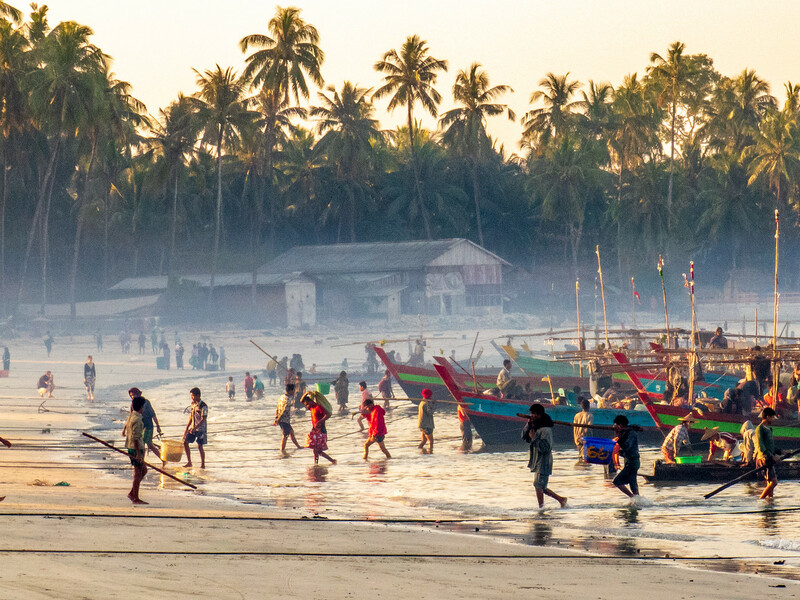 At sunset, the men of the village take to rickety wooden boats to spend the night fishing and hopefully make a decent catch. 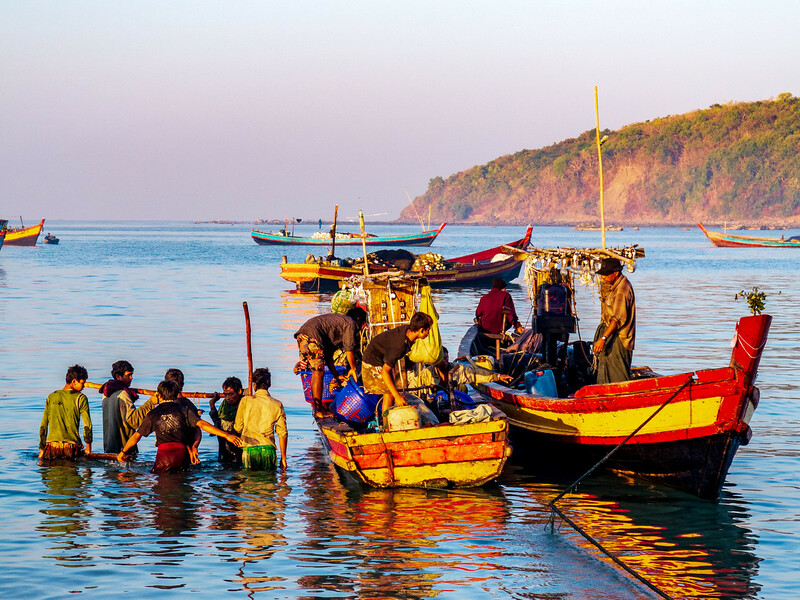 Generators provide electricity so the boats can shine bright lights into the water and attract baitfish to the surface hopefully attracting something more prized. 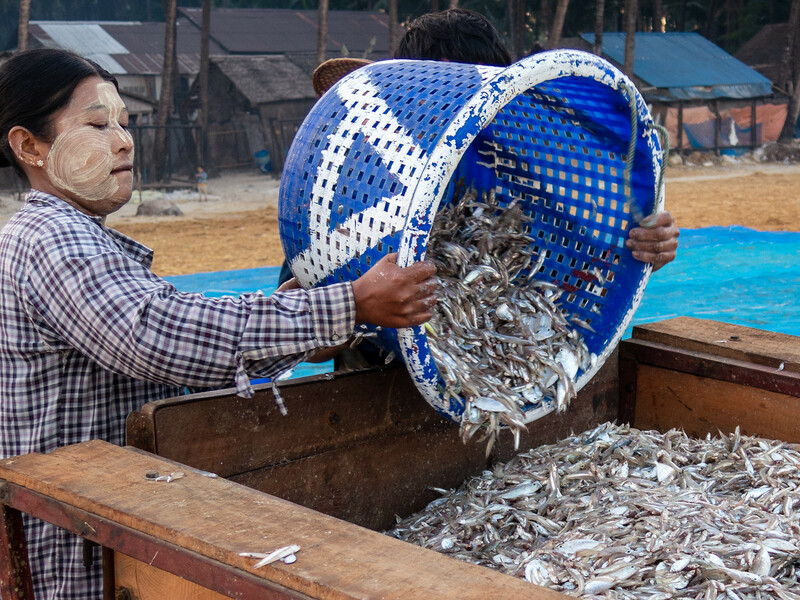 Sometimes the Myanmar fishermen do catch something large in their nets that can be sold at a premium but more and more often now, all they end up with is bait fish. All night, when the weather is good, you can see the ghostly looking vessels with their nets in the water bobbing in the distance. 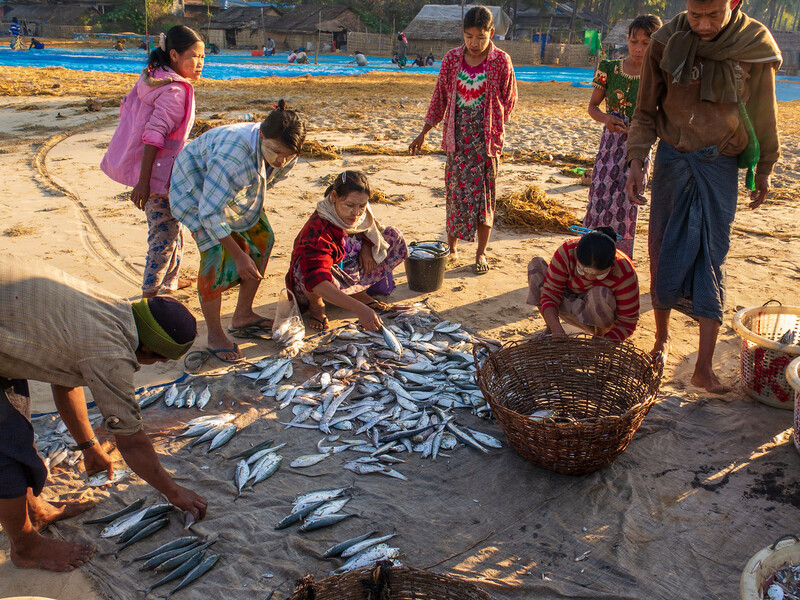 At dawn, families begin gathering at the beach to help unload the previous night’s catch. 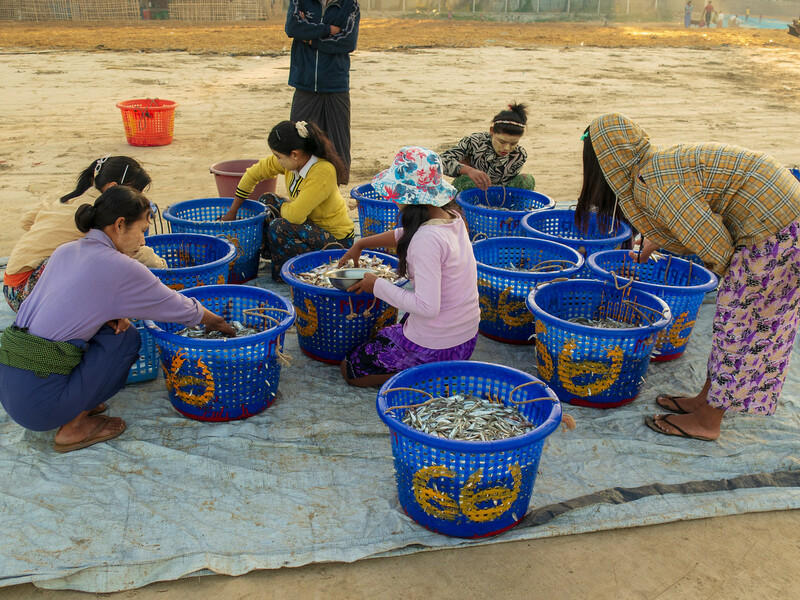 All generations seem to participate in the ritual of collecting the catch into plastic baskets that are brought to shore, divided, graded and processed. It is grueling and labor-intensive work for a dwindling amount of reward but most people seem to be, if not excited about, resigned to their tasks. The whole scene is a feast for the senses. 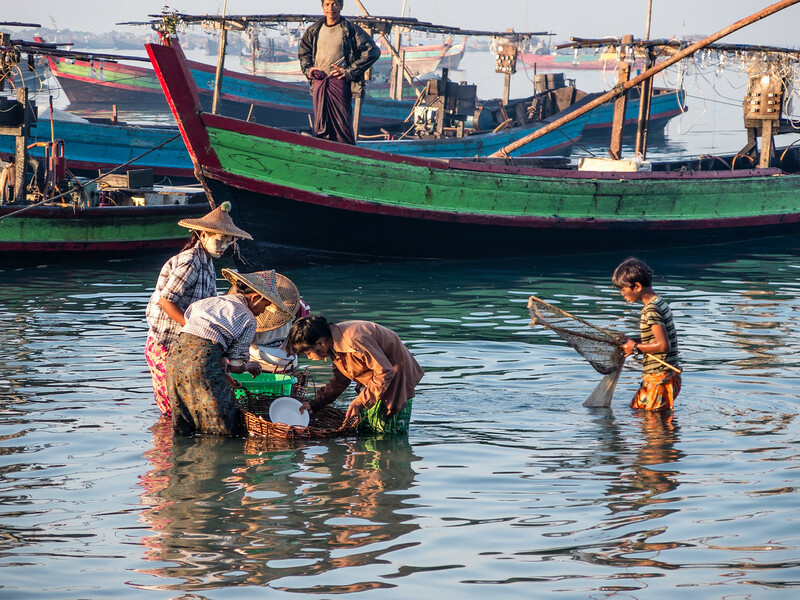 The smell of fish combines with salt air and wood smoke. 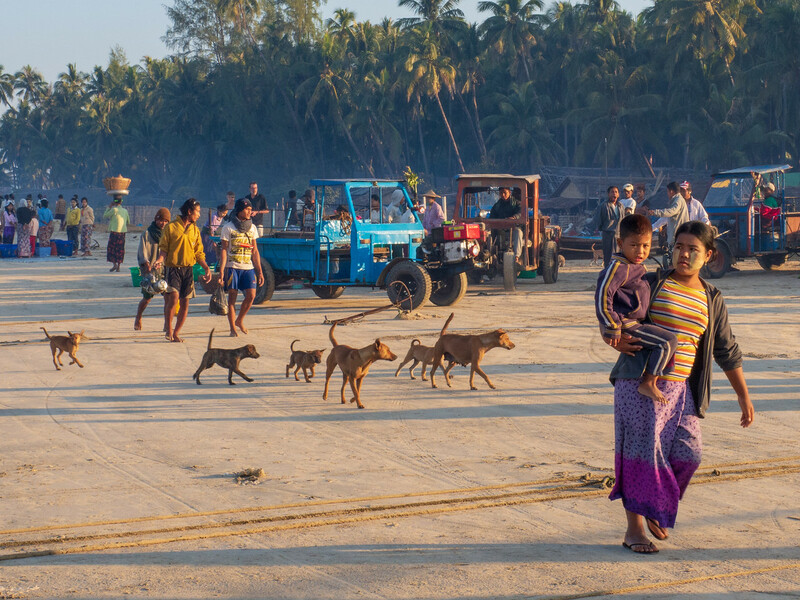 The sound of the ocean competes with boat motors, children playing chase, barking dogs and traditional music blaring from the local temples loudspeakers. Being able to witness this was well worth the 5 AM alarm. 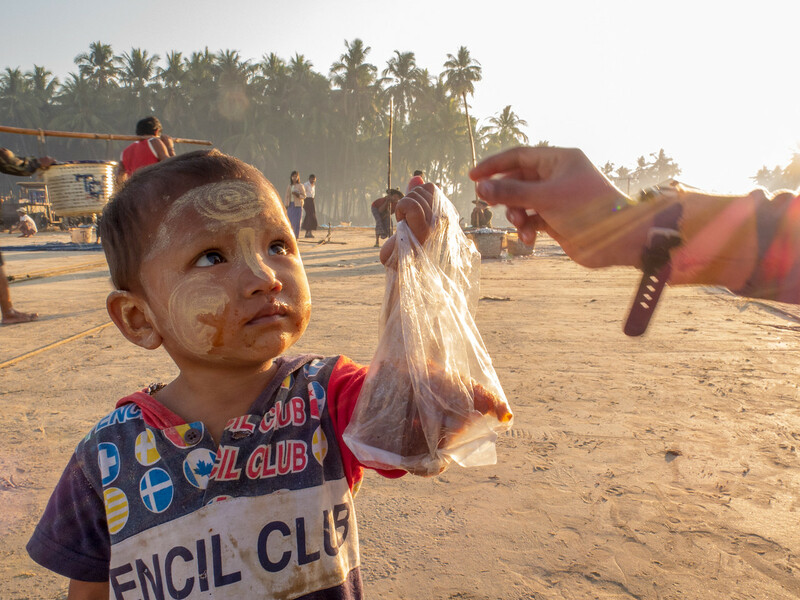 I never made it to this part of Burma but love the images and the story. 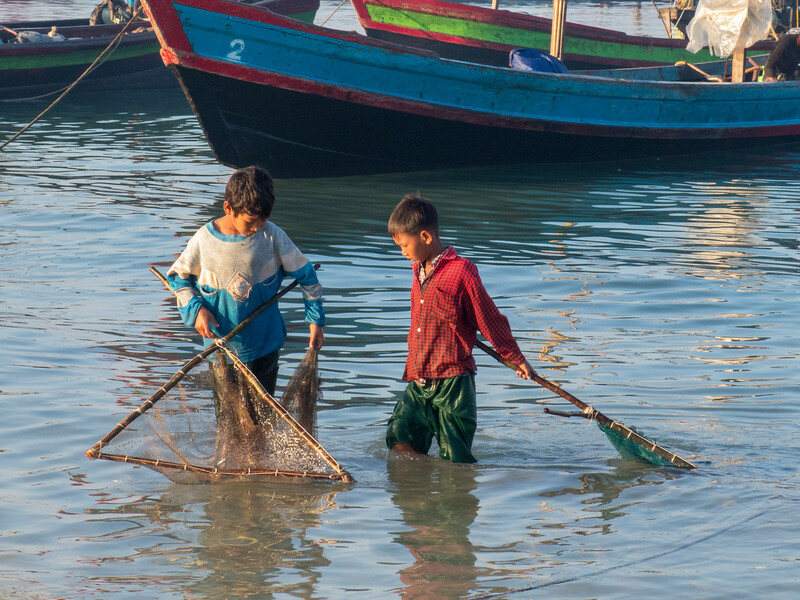 Not an easy existence as a fisherman in rural Asia. Beautiful pictures. We were there only a couple of months ago!